Hostaria Da Elio, just off of bustling South Street in the 600 block of S. 3rd Street is a Philly BYOB that does not get nearly the mention that it deserves. 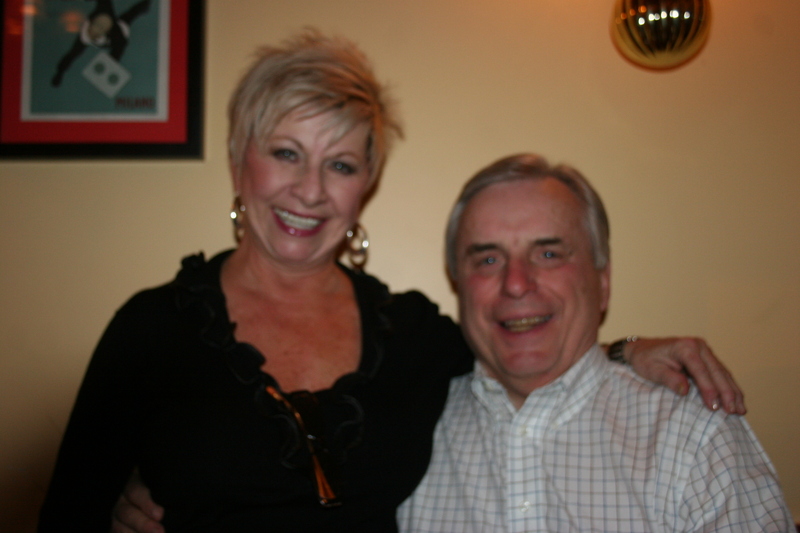 My wife, Kathy, and I, along with our good friends, Gerry and Joann B. have been there on several occasions but this was our first visit since I have had this blog. We were coming from a show at Society Hill Playhouse and knew this was the perfect opportunity for a return visit to this excellent Italian bistro. Our server, Bonnie, reeled off so many “specials” in each category of the menu, and each one sounded better than the previous, that we knew it was time to put the menu aside and choose from her list. With all four of taking this culinary route it makes it difficult to remember what each of us had since I can’t go to the website to re-check the menu. Bonnie was nice enough to write down everyone’s selection. That’s the sort of “personal touch” that makes this place such a pleasant place to dine. And hey, great food doesn’t hurt, either! As usual, we had some excellent wines to match the food. Gerry had brought the 2004 Tenute Silvia Nardo, Brunello di Montelcino, this one was very closed upon opening and opened up considerably as dinner progressed. Smooth flavors of cherries and blackberries with a hint of tobacco. This was a solid 90 pointer once it came alive. 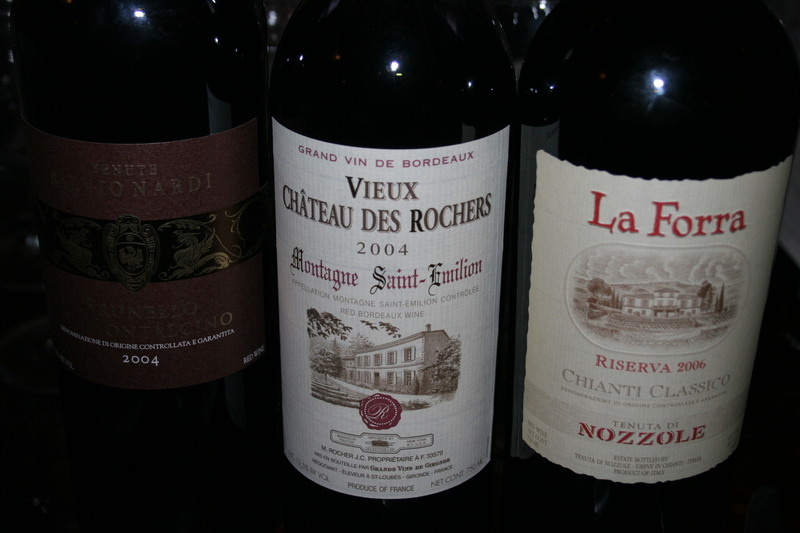 Gerry stayed in Italy with his second wine, the 2006 Tenuta di Nozzole, La Forra, Chianti Classico Riserva. This wine was a favorite right from the start with a deep red color, deep flavors of currents and raspberries and a smooth lingering finish. Another 90+ wine. My contribution was a 2004 Chateau Vieux des Rochers, Montagne St. Emilion. Not much of that barnyard funk that my wife feels is a characteristic of French wines, just some nice forest floor, black currants and spices, well-balanced with great structure. This one went well with many of our dishes. We each began our feast with an appetizer. Kathy and Joann split the Eggplant Melazana, eggplant layered with marscapone and mozzarella and baked in a fresh tomato marinara sauce. Joann declared it the “best eggplant I ever had”. They even tempted me to try it and I never try the eggplant. I had to agree that this was delicious. Gerry had the mussels in White Sauce a mixture of white wine and garlic. He told me I had to mention that the mussels were outstanding. 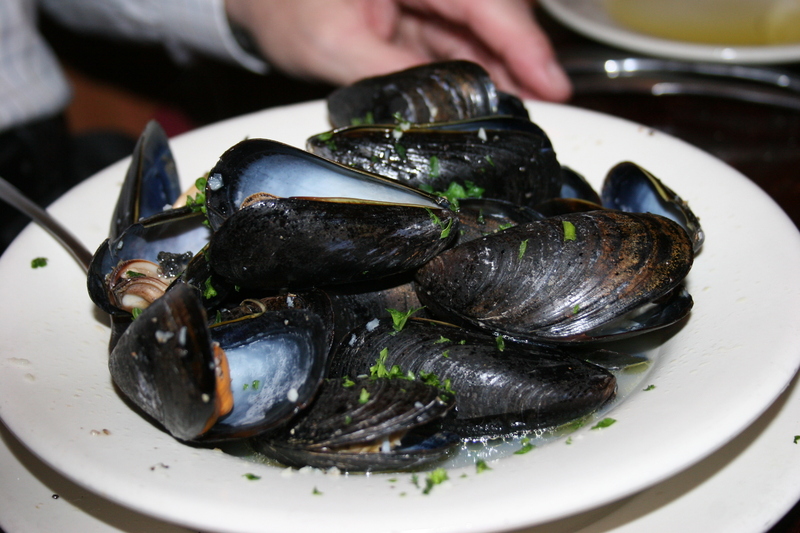 mussels are another food item I have failed to gain an attraction for despite their obvious popularity. I hope I don’t find out after I die that muss ells and eggplant and mushrooms are all fantastic! 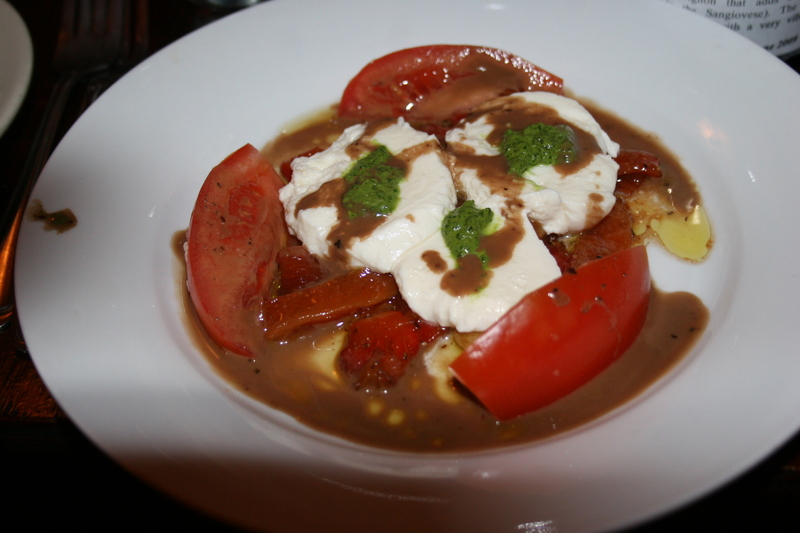 I went with the Mozzarella and Peppers, fresh mozzarella with roasted peppers, tomatoes, fresh basil served with extra virgin olive oil. Each bite of this was a taste treat. 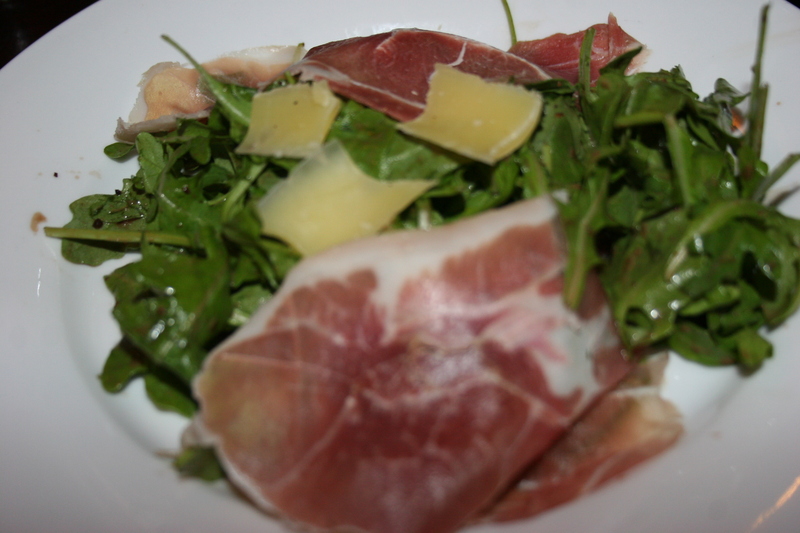 Just a very well done dish that sounds simple enough yet, so few do it right..
We each had the Arugula Salad and this one was a really nice presentation as the crisp greens were topped with parma prosciutto and shaved parmesan romano cheese. The first two courses were so good we couldn’t wait to see what they did with our entrees. We didn’t have long to wait as our four entrees arrived hot and succulent. 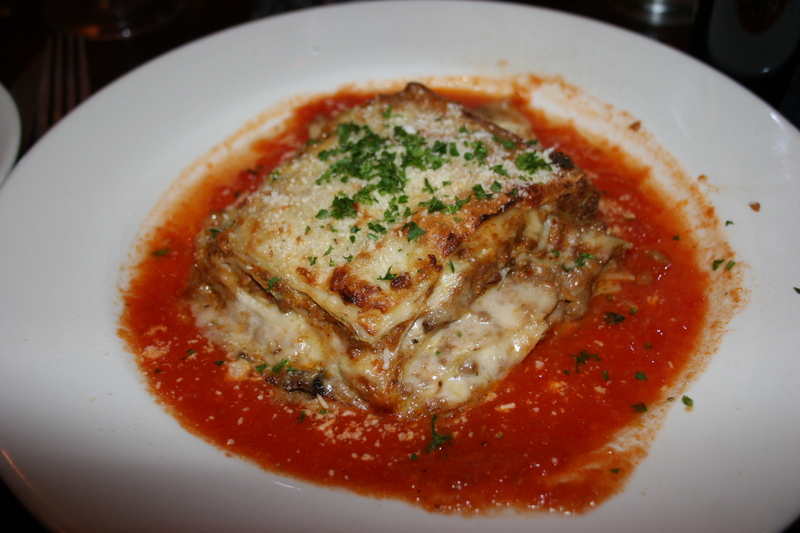 Kathy had the home-made Lasagna, beef-bolognese, mushrooms topped with bechamel served with a marinara sauce. 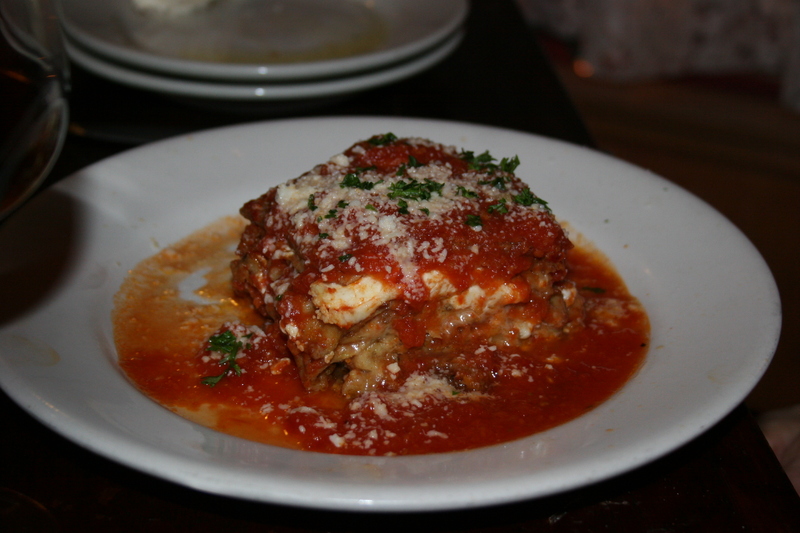 On a previous occasion one of our party declared that this was the “lightest and most flavorful lasagna he had ever tasted.” Kathy really enjoyed this classic Italian dish. 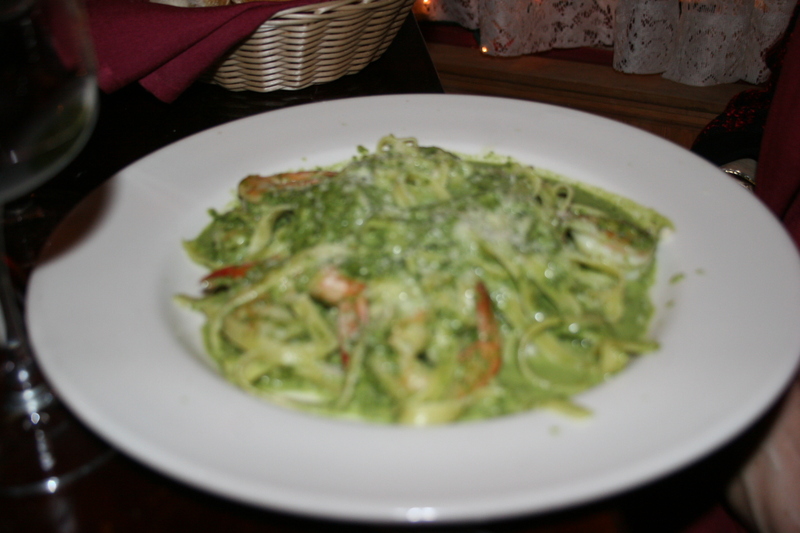 Joann had a lovely dish of home-made fettucini with shrimp in a fresh pesto sauce. 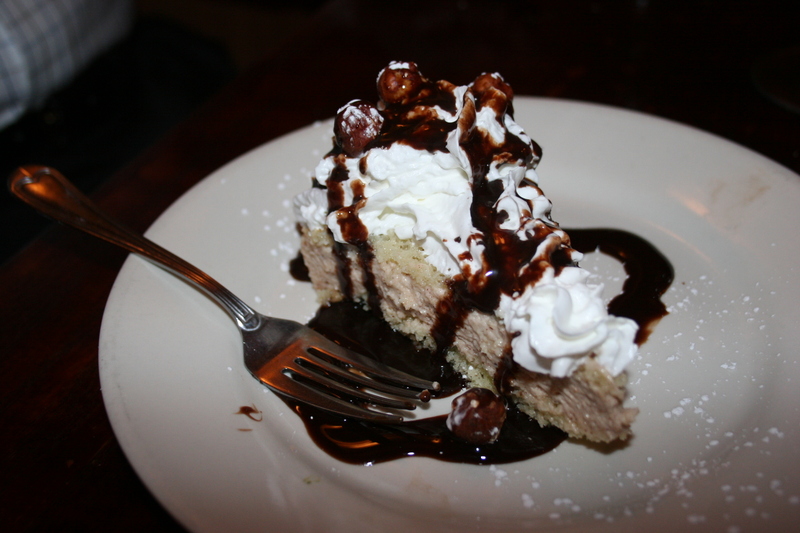 This one had great flavor and was perfect with her Chianti Classico. 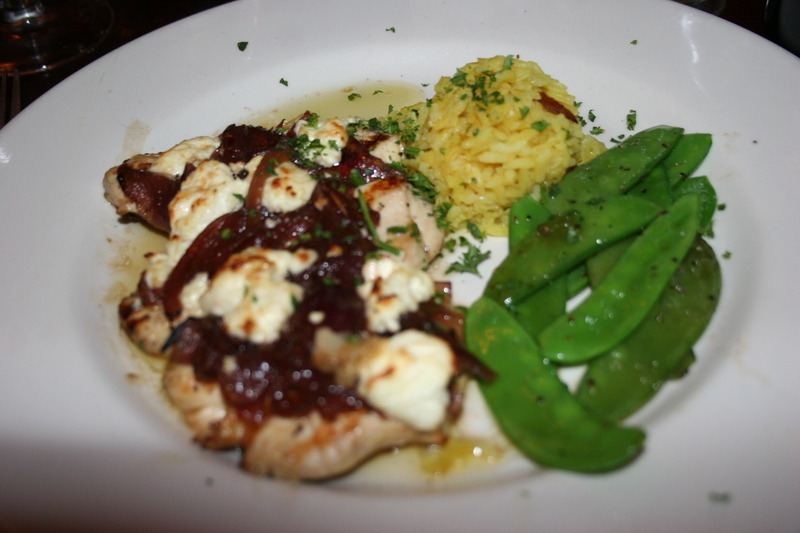 Bonnie, our server, had mentioned that the combination of carmelized onions and goat cheese that topped my chicken breast was an excellent blending of unique flavors. She hit it right on the head. Each bite was delicious and the rice and snow peas were the perfect accompaniment to this flavorful dish. 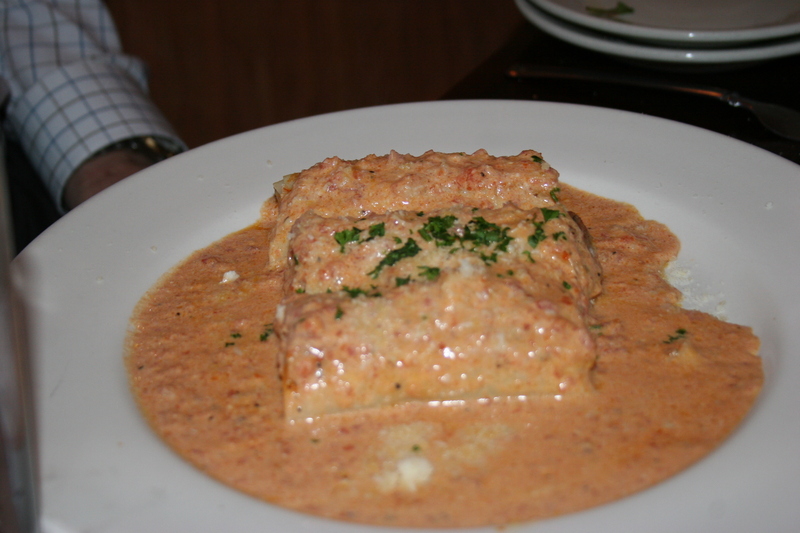 As much as I totally enjoyed my chicken dish I must confess that I believe Gerry made the best selection of all with his choice of cannelloni filled with a veal and cheese mixture served in a blush sauce. I got to sample this one and it was really fantastic. The sauce was perfect and the filling was out of this world. I have no regrets about mine, but, next time, I’m going for the cannelloni. We were pleased that Elio came out and spent some time with us. He had some interesting stories to tell about his sixteen years here in America since arriving from his native Rome. 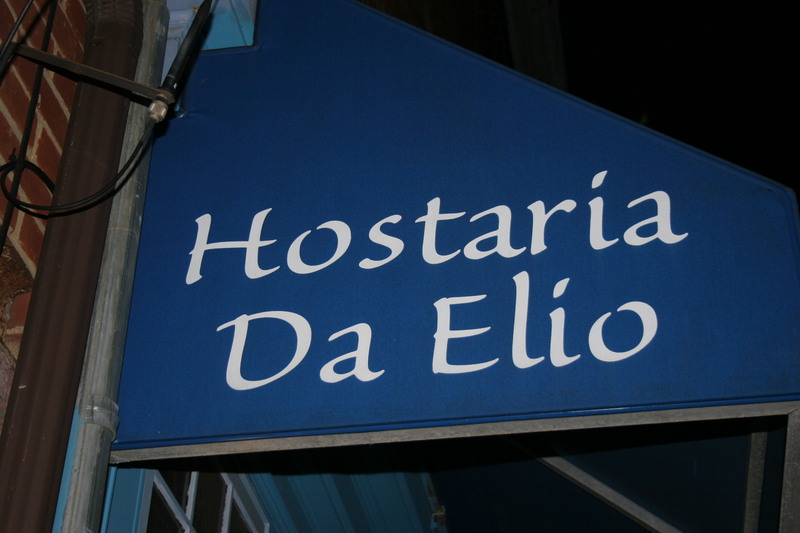 He is very proud of Hostaria da Elio and very much appreciates our patronage. In fact, we left with cards entitling us to 15% off our next visit. We ended our meal with each of us enjoying a different dessert. 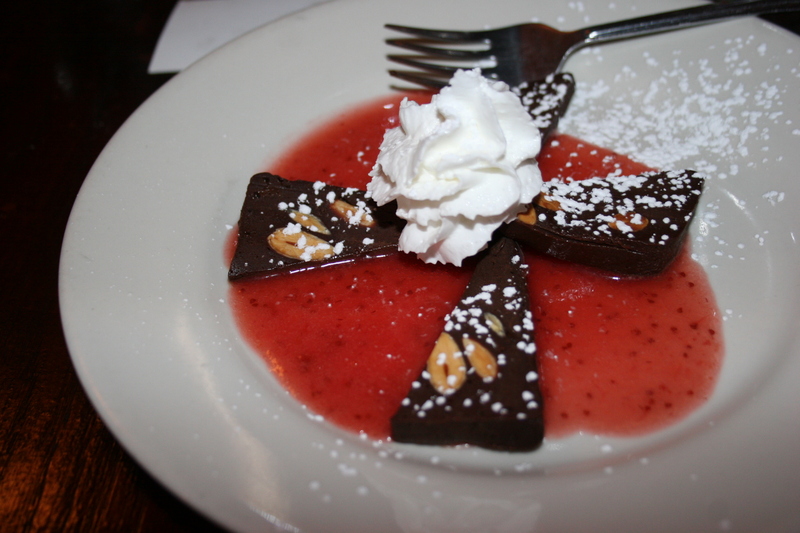 I had the yummy Chocolate Ganasch with walnuts on a bed of raspberry sauce. 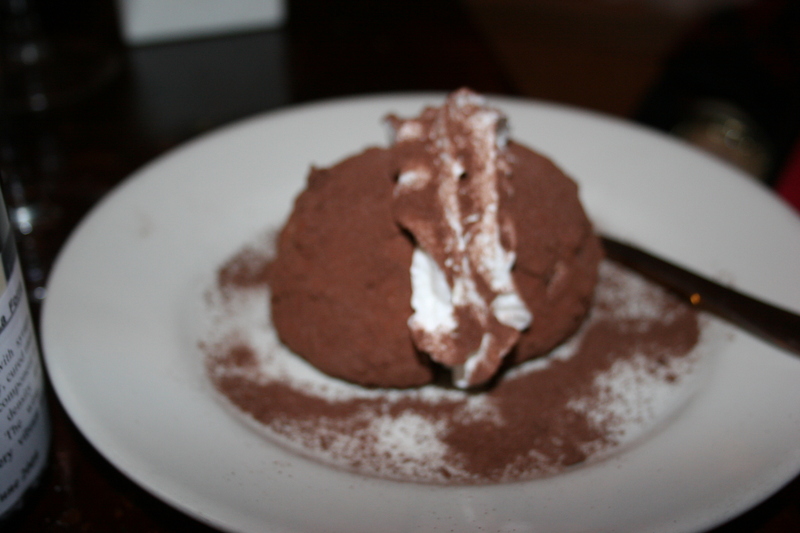 Joann had the Tartufo, chocolate ice cream with a vanilla center served with cocoa and hazelnuts. 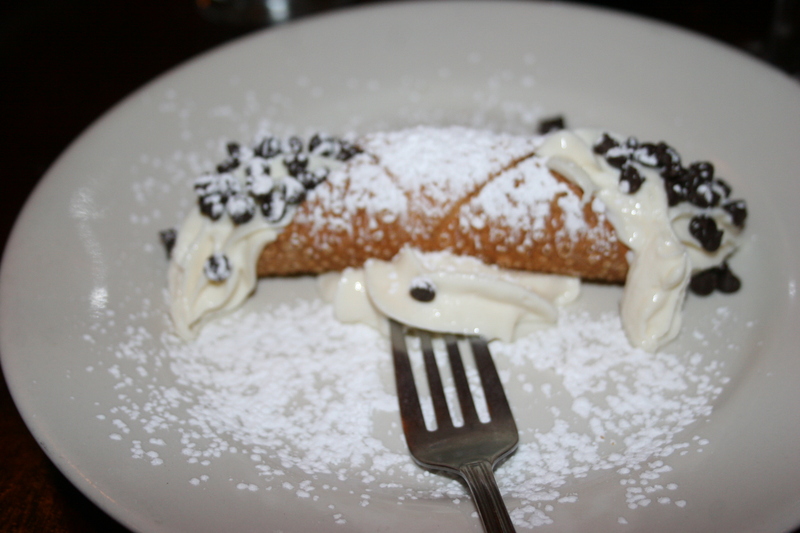 Kathy topped her meal off with a Chocolate Chip Cannoli which she declared to be one of the best cannolis she has ever had. Meanwhile, Gerry was quite content with his Hazelnut Mousse Cake which was light and airy but full of flavor. There is nothing more enjoyable than knowing the restaurant you are headed for has proven itself to be not just very good but consistently very good. That is one of the great things about Hosteria Da Elio. You can be assured of good food and great service on each and every visit.